The animal kingdom provides us portals for growth through the emotional bonds we have with our pets. The relationship and connection between a human and their pet is unique and is based upon the individual’s belief about life and living. As we evolve to a deeper understanding that all life is interconnected, we can dissolve old conditioning, replacing it with new qualities based upon partnership and leadership. The animal kingdom provides us portals for growth through the emotional bonds we have with our pets. Empathy verifies this connection, as it is the ability to identify and understand feelings. We emanate feelings to one another, whether consciously or unconsciously. Animals mirror emotions within us, and they are key to personal growth and healing. Pets offer us the opportunity to be authentic in how we communicate what we want from them, thus developing trust by working in unison. Telepathy is a universal language, an unseen force, through which we project thoughts, feelings and intentions into the universal web of life. It is communication without speech, the sensing and reading of life through feelings, intuition and body language. Without speaking a word, we have the power to communicate a feeling or express thoughts and emotions through facial expressions or a physical gesture. The atmosphere of a place determines whether or not we want to enter it, as we are always assessing the environment. The circle of life is determined by the prey running in fear of the predator who finds them through their own sensory perception. The key to harnessing the power of nonverbal communication is the practice of becoming proactive rather than reactive. We do not want to use pets as a sounding board to release the daily stresses of living, as animals react to thoughts, emotions and intentions set forth by the owner. Through breathing we can release our empty emotions to create success in achieving a desired result. 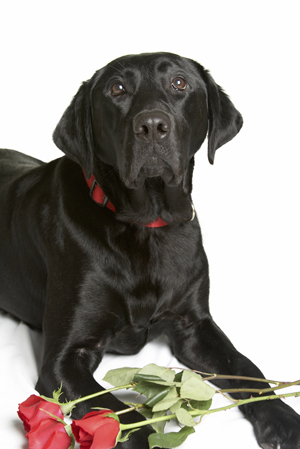 Focused intention, patience and consistency can teach any animal to respond to nonverbal commands. The same is true when working to achieve a mental and emotional connection with an animal. Good leadership comes from understanding and being present with your animal friend and letting go of the past in each step you take forward. Increasing telepathy is done through the translation of body language, intentions and focused awareness. Animals see things in pictures; transmitting visualization to a pet is a key tool used in telepathic communication. When you recognize that what you are transmitting is affecting your pet, you will also realize that the power we share is universal in nature. Repetition, consistency and patience create the confidence needed to succeed in developing a bond that goes beyond time and space, through the unseen force that unifies all life. Josephine M. Joseph is a Karuna and Reiki master teacher, who developed the program Reiki 4 Horse and Owner to deepen the connection and relationship with animals. www.lightjourneys.org or 623-698-6899. Reprinted from AzNetNews, Volume 30, Number 1, Feb/Mar 2011.